Should You Turn Off Radiators in Rooms You Don't Use? With heating accounting for more than 50% of the average UK household’s energy bills, it’s important to find ways to cut back. Even if you’ve lowered your carbon footprint or your energy spending in every imaginable way, you could still be using unnecessary heat. 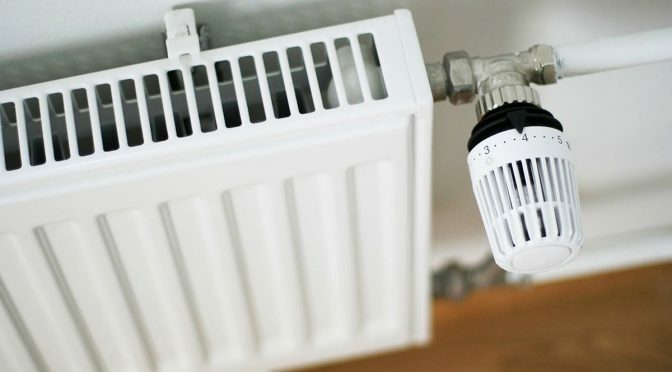 If you don’t take the time to turn off a radiator in a room that you don’t use very often, you could be pouring money down the drain. Here are three questions to ask yourself when deciding to turn off a radiator you don’t need. 1. How Good Is Your Insulation? If you’ve got good insulation, you don’t need to worry about keeping your radiator on in rooms that you don’t use. With strong insulation in the rest of the home and no heat in the one room you don’t use, you shouldn’t be losing too much heat. While some level of balance will be necessary on the other side, if the only place where air can escape is under the door, you’ve got lots of options. Just adding a draft blocker could eliminate your need for worrying about heat. Older homes don’t always have as strong of insulation as newer homes do, so if you’re not sure, you might want to keep the heat on to a small degree. Otherwise, all of your heat will want to rush over to the room that’s colder to even out the temperature. 2. Is Mildew an Issue? One of the characteristics of heat from a radiator is that they generate a lot of dry heat. If you’re not used to this, you might find that you’re using more moisturizer and lotion than you would have imagined during the winter. While cold can do serious damage to your skin, so can a dry heat. However, if mildew is an issue in your home or you want to keep it from being an issue, adding some dry heat might be good. If you live in a wetter or rainier climate, cool air can encourage mildew and mould to grow after a rainfall. To keep it out of your space, keep your radiator’s output going. 3. How Long Do You Keep out For? If you only keep out for a day or two at a time, you might think like this is a worthwhile idea, but it may be more trouble than it’s worth. For rooms that don’t get visited for an entire season, it might not be worth keeping them heated. Cover the windows with plastic and tape to ensure that you keep drafts out, but overall, you don’t need to worry about the rooms. With a draft blocker in the doorway, you won’t have any reason to worry about heating rooms behind doors you never open. There are a lot of factors that determine whether or not you should turn off a radiator in your home. Learning the reasons why you might need the radiator will help you make a smart decision that could save you money. If you’re looking for tips on balancing your radiator’s output, check out our guide for more info.